Jeddah: As women in Saudi Arabia are poised to start driving from Sunday, many women have already secured their drivers’ licences. 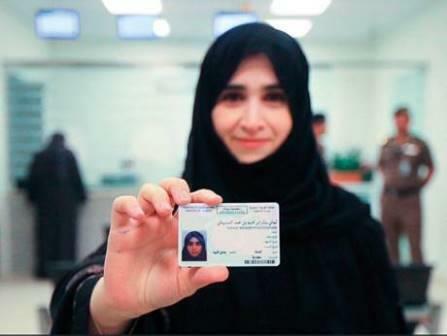 Tahani, who works as assistant professor of information technology and vice dean of educational technology at Prince Sattam Bin Abdulaziz University, was one of the first women to receive a licence. She already held a foreign driver’s licence, having studied abroad in the US for her doctoral degree. Al Dosemani described the process of converting her foreign licence into a Saudi one as “simple and smart”. Applications are first filed online through the Abshir portal, where documents like the national ID or residence permit, medical examination report, and a translated copy of the foreign licence are uploaded. The applicants are then provided with the date and time for driving tests and exams. After submitting the hard copies of her documents, she underwent a short driving test, before her licence was issued. She said she never liked leaving the driver waiting in the car when the weather was extremely hot. Most importantly, Al Dosemani says that she is relieved that she can now plan trips “without relying on someone else”. In the coming weeks, Saudi authorities will issue around 2,000 driving licences. A royal decree issued last year gave women the right to drive. Saudi Crown Prince Mohammad Bin Salman has been the driving force behind the latest reform measures in the country. The reform push aims to get Saudi women to be more active in the workforce, and driving is seen as essential to this.